Whether you are in search of a safe, agile vehicle with some extra room or a practical, efficient sedan with the most up-to-date technology, the 2016 Volvo S80 in Plano is sure to exceed all of your expectations in a four door luxury sedan. Redesigned with a lower, wider look that will make heads turn, the 2016 S80 is just as sophisticated on the inside as it is on the outside. The comfortable ride and efficient engine promises a driving experience that you will never forget. A favorite in the luxury sedan class according to 2016 Volvo S80 reviews, this year's model of Volvo's classic sedan is an elite selection for buyers in the Dallas area. 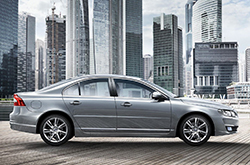 The Volvo S80 comes with a four-cylinder turbocharged engine. Thanks to efficient Drive-E technology, power and environmentally friendly operation can now go hand in hand. The four-cylinder engine functions with extra efficiency while still performing similarly to a larger six- or even eight-cylinder engine. In addition, the eight-speed automatic transmission allows for a smooth and satisfying ride every time. With impressive performance and superior fuel economy, it is no surprise why so many 2016 Volvo S80 reviews mention the notable powertrain of Volvo's latest luxury sedan. 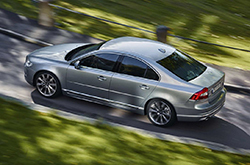 The Volvo S80 also comes stacked with accessible safety and entertainment features. Drivers can easily utilize the Intellisafe safety suite that includes collision prevention software, active high-beam light controls, road sign information technology, ready alert brakes and stability control for a safer, easier drive. Plus, the S810 includes Sensus, Volvo's premier information program. In the sleek center digital display, drivers can easily navigate the extensive information hub, surf through local and satellite radio stations, and continue phone conversations through the Bluetooth hands-free system. Additionally, the S80 comes standard with a trip computer, smart rain sensor, auto-dimming interior mirror, and folding rear seats along with the option of a heated steering wheel, heated windshield washer nozzles, additional safety technology and a luxurious inscription package. Test drive a 2016 Volvo S80 in Dallas today and discover why there are no trade-offs with this luxury sedan. A leader in its class, there is truly no better sedan when it comes to style, efficiency, performance and comfort. Compare the 2016 Volvo S80 to vehicles like the 2016 Hyundai Genesis, BMW 5 Series, Cadillac XTS and the Acura TL, and we're sure you'll see that the S80 surpasses the competition in several areas. If the S80's state-of-the-art onboard technologies and pronounced looks don't prove to you that it's the perfect vehicle for you, we're sure its cut-rate price will. Hundreds of Plano Volvo drivers choose it because it's a phenomenal value; just compare its price to the aforestated list of vehicles. Check out our S80 Facts list; look just underneath this text for bullets. The Volvo S80 review above, along with overviews of earlier models and other 2016 Volvos, will help make finding your next car quick and simple. We take our obligation to provide the best reviews authored by automotive experts - it's just one more thing that makes us a reputable Volvo dealer in Plano. You can count on the information in this article to be reliable and provide you with the details you need to [decide] if you want to buy the S80. Is the S80 not the right model for you? 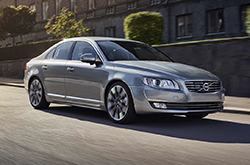 Learn more about other vehicles offered by Crest Volvo Cars using our reviews index. 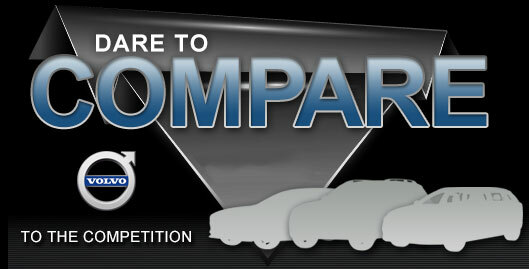 With it you can review and compare Volvo's entire group of vehicles.